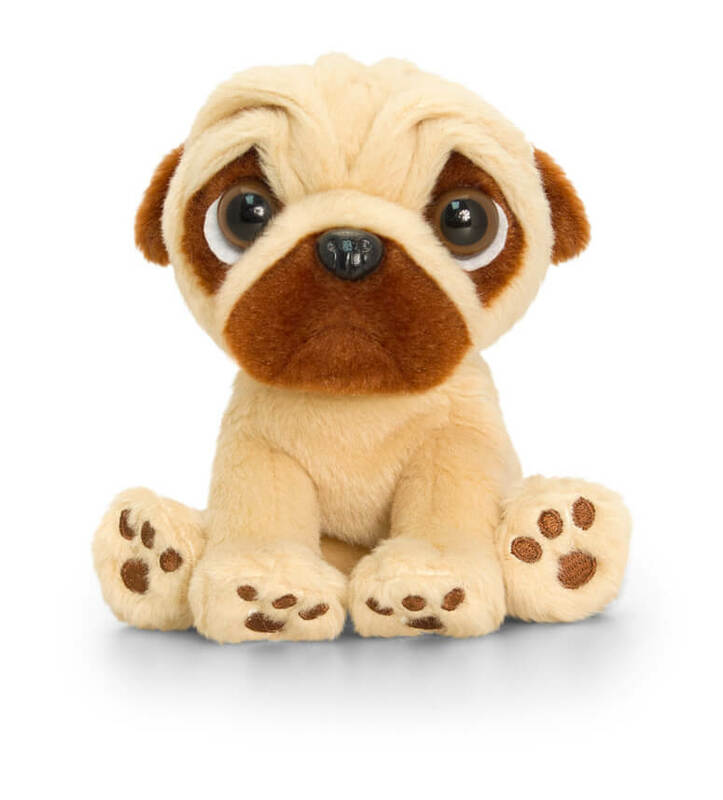 Pugs the number 1 puppies you want to hug. 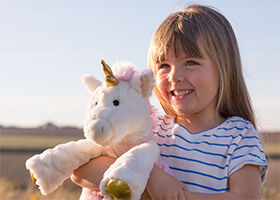 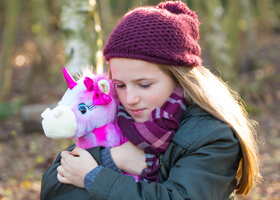 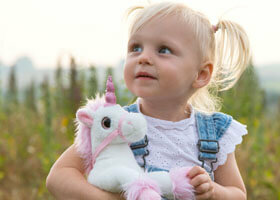 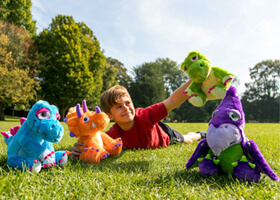 Full of character and vim they are simply adorable and when dressed in a Unicorn, Rabbit or Ladybird onesie what is not to love! 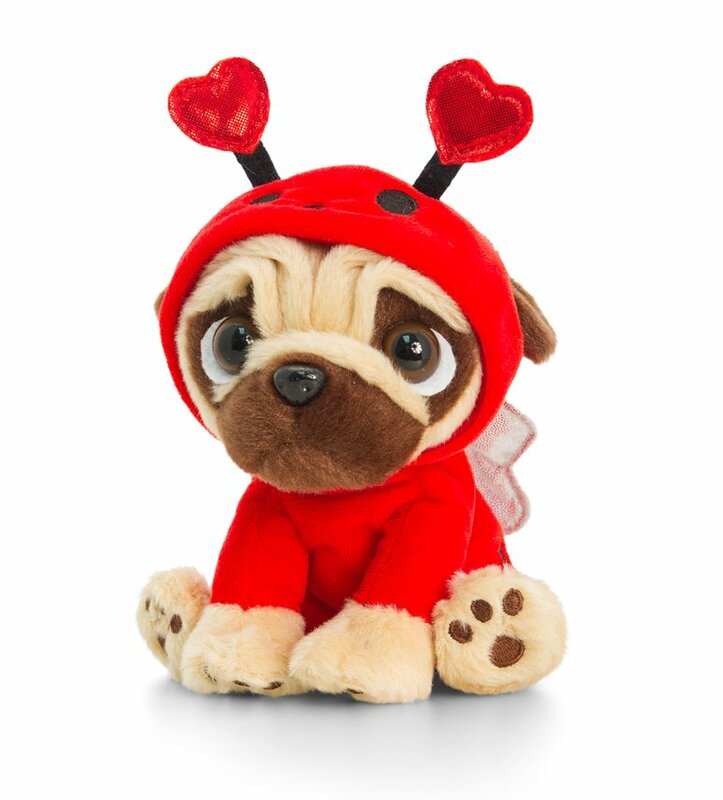 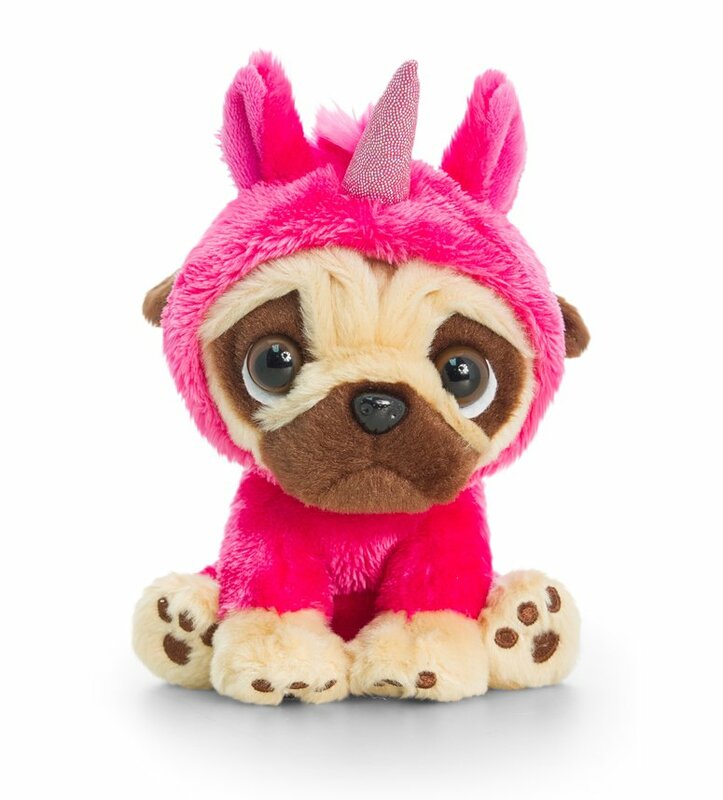 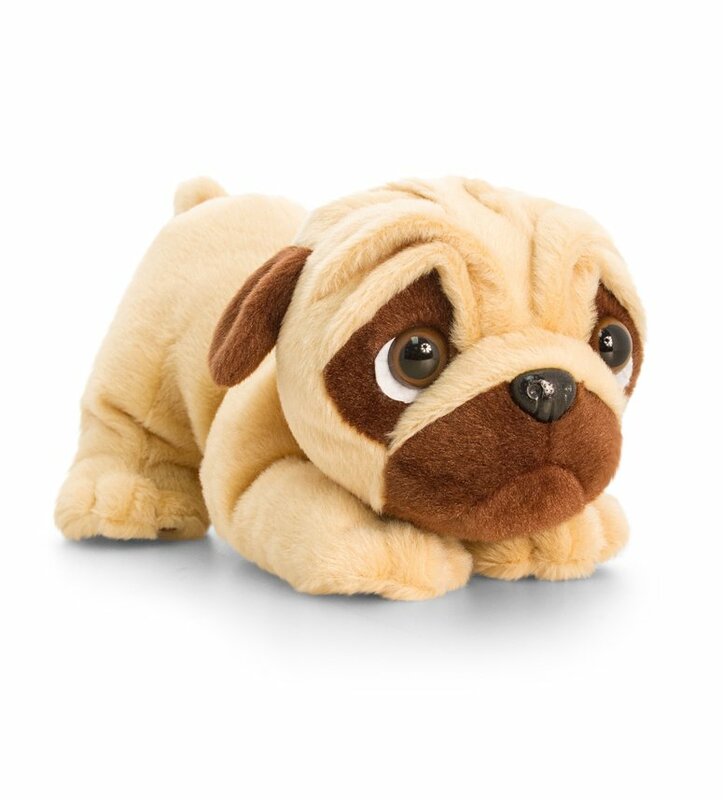 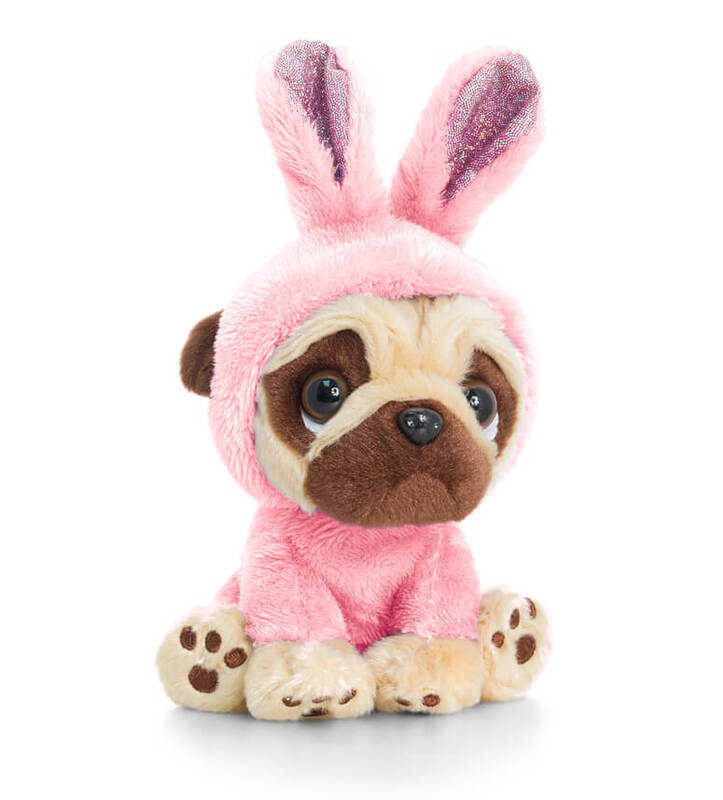 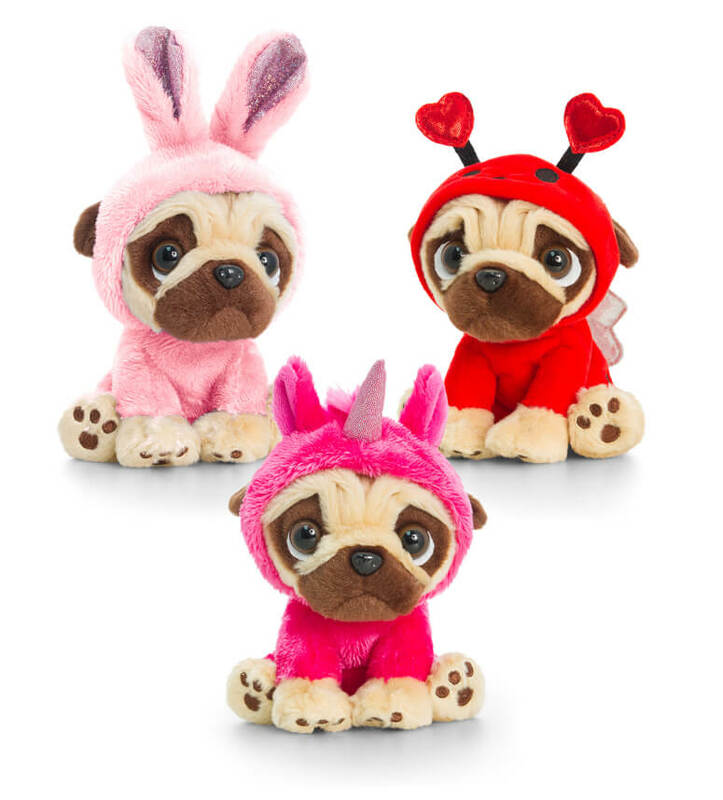 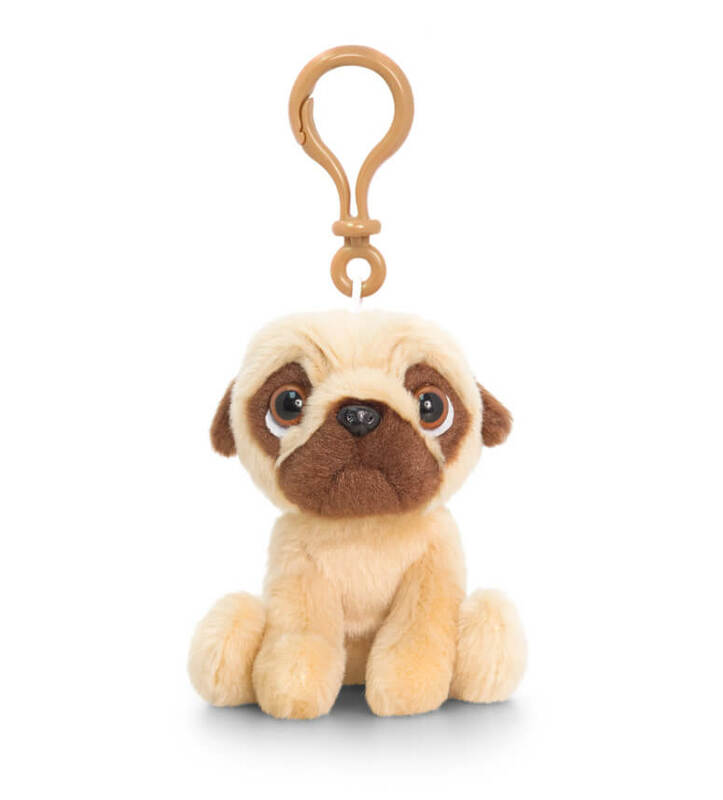 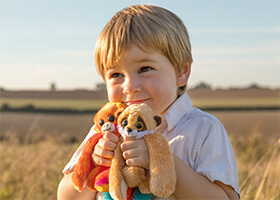 Alternatively, playful Pugsley features a pouncing design and real panting sound that will make you smile.